Each year, as I head toward January, I buy myself an inspirational calendar because… well, because it will be inspirational! And believe me when I tell you that I don’t flip through the calendar when I first get it to see what is waiting to inspire me each month. No. I wait. I am a delayed gratification kind of girl. 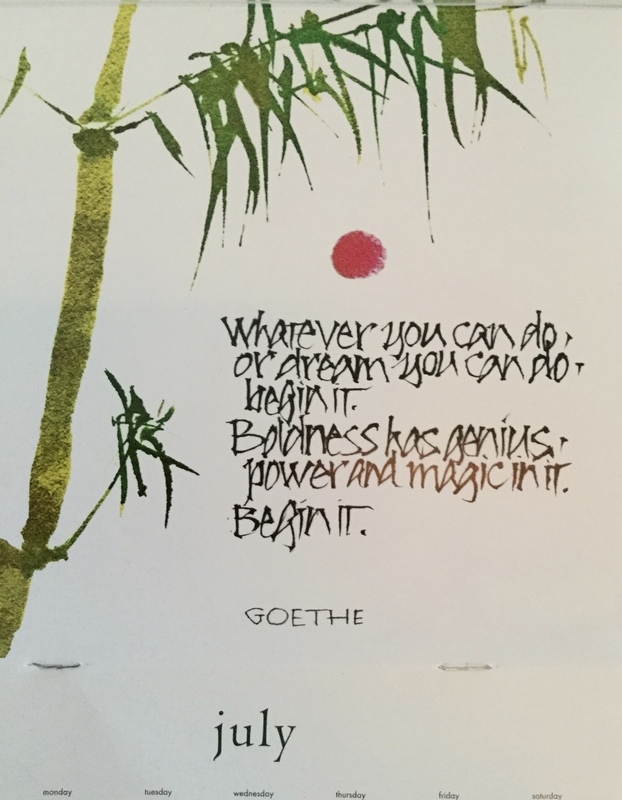 When I turned my calendar to July, I was met with a quote from Goethe: “Whatever you can do, or dream you can do, begin it. Boldness has genius, power and magic in it. Begin it.” What a great thought to start the month! And so for this month, I will be bold. For this month, I will write more blog posts. I will take more steps, set more goals, and implement more action plans. For this month, I will take more risks. Because boldness has genius. And power. And magic. And for me, it’s all about the magic! Come on and join me. Just for this month, be bold! 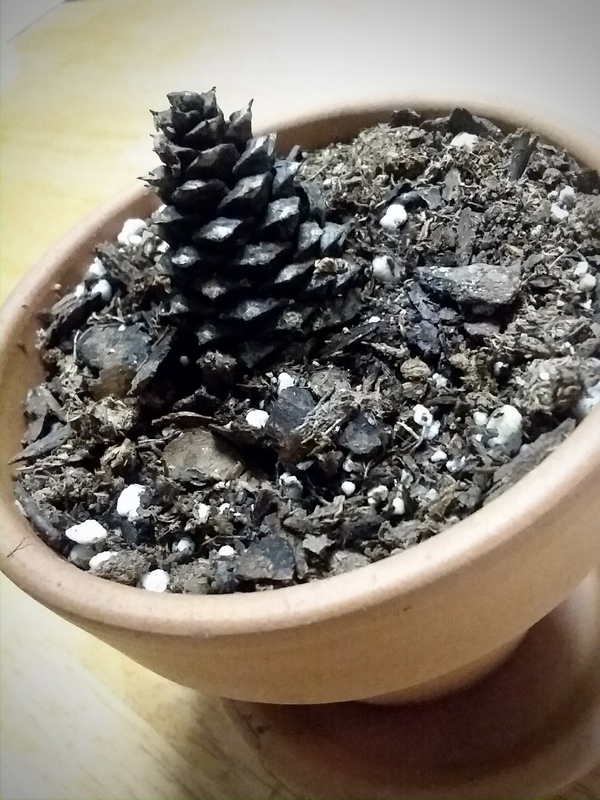 Recently, I was on a social media site, and I saw a picture of a pinecone in a tiny pot sprouting itty bitty pine trees. This picture was astonishing to me, both in its cuteness, and in its simplicity. The idea that I could take something as generally disregarded as a pinecone, put it in some dirt, and watch it grow captured my attention. 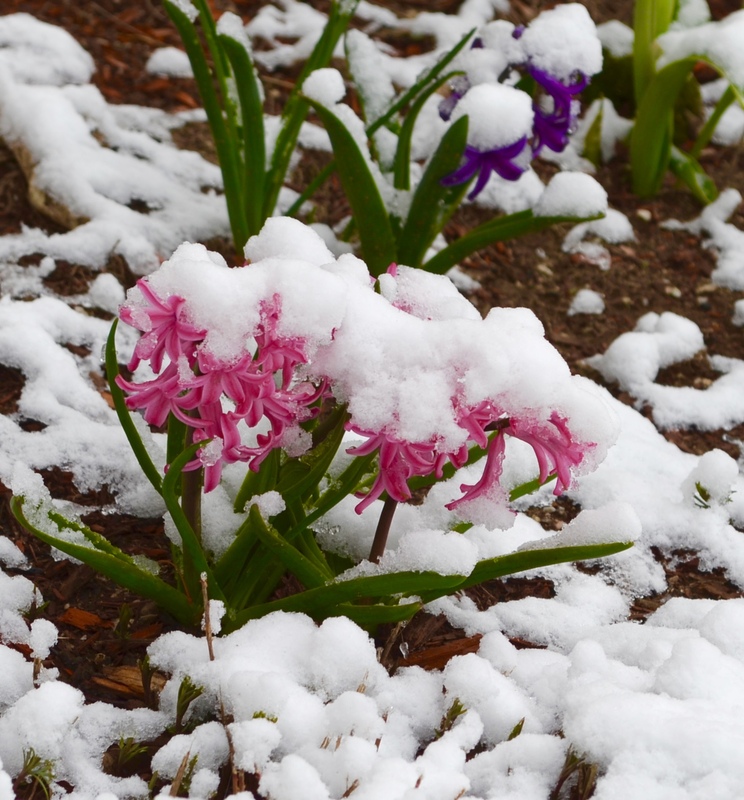 Not long after seeing this picture—on one of only a smattering of gorgeous spring days we’ve experienced—I stepped out for a walk during lunch. Rather than walking toward the road, I chose to walk to the back of our building. I had only a couple minutes to enjoy the warmth and the sunshine, and the grassy yard was calling to me. The ground under the pine trees was littered with beautiful, perfect pinecones. I’m going to try to grow one! 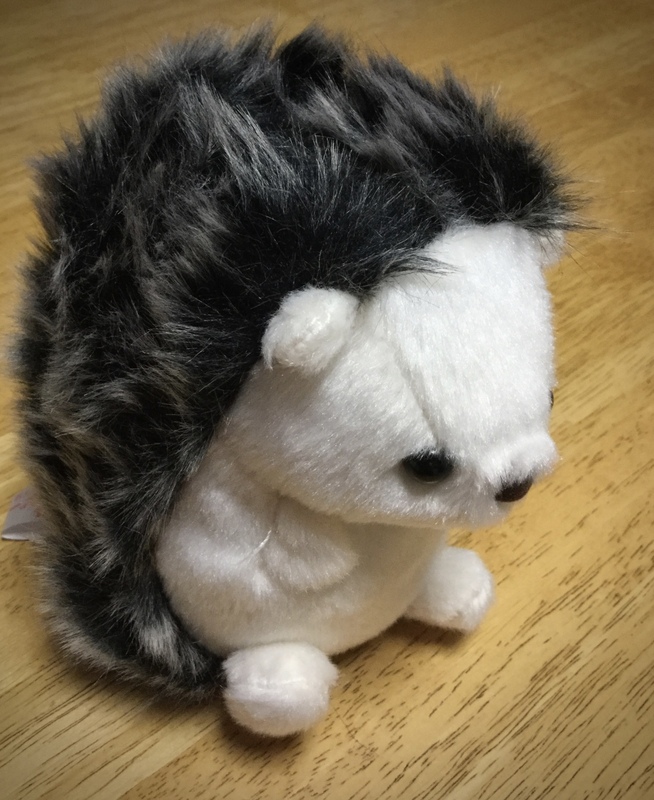 I thought to myself, so I picked one up and brought it inside. One of my students immediately discounted my idea to grow it. “It’s so dry,” she commented. “I can’t imagine anything growing out of that.” But then again, that is the miracle of a seed, isn’t it? That an object so small and dry and seemingly worthless can sprout life and become something as majestic as a tree. Maybe my little pinecone will grow a seedling, and maybe it won’t. But I’m going to give it a try. I’m feeling a need for simplicity and growth in my life. 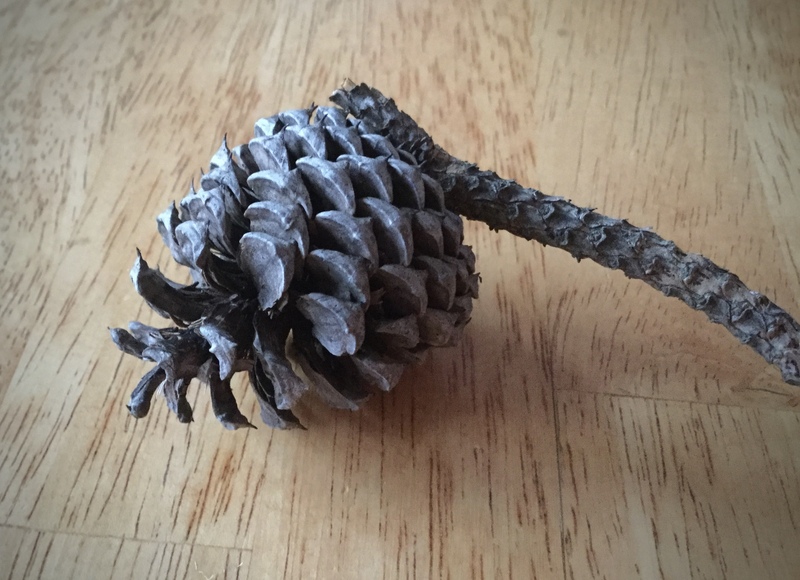 And if this pinecone does grow, maybe it really would be just a little bit of a miracle. 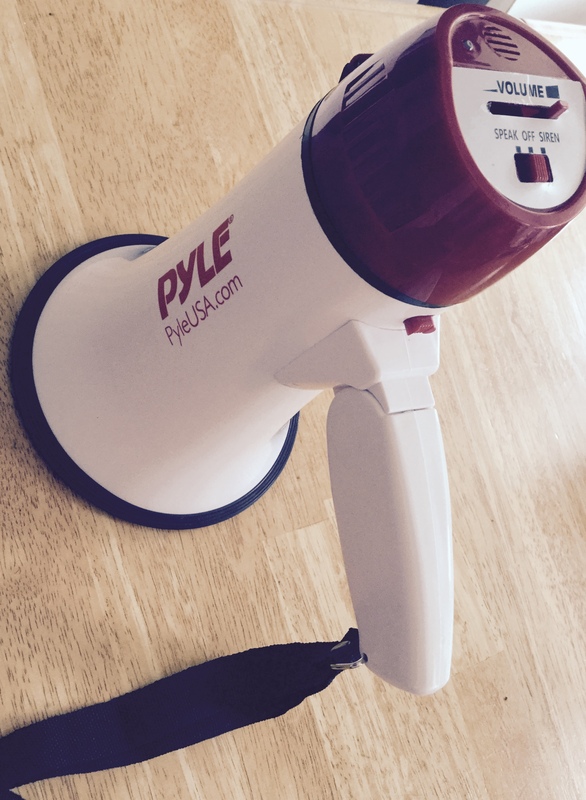 I have all manner of items—ranging from helpful to slightly odd—stuck to my refrigerator with magnets. I have magnets with helpful information—the non-emergency number for the local fire department, the hours for the dump, my plumber’s contact information. I have photos of my kids when they were much younger, the rehearsal schedule for the high school theater department, information for an upcoming summer camp job, a small calendar, and various magnets and magnetic clips. Some things have been on my refrigerator for so long that they have become invisible to me. For example, one day last week, I suddenly noticed I still had a 2017 full year calendar stuck on the refrigerator. It had obviously arrived as a Christmas card in 2016, and it hadn’t been moved since. Until last week when I re-noticed it. I burst out laughing because something that seemed so harmless to me suddenly took on a much more ominous and taunting quality. A post-it note with a phone number that we were not to call. Perhaps I was provoking my kids to see if they would take the bait and call this forbidden phone number. Really, that was not it at all. I had been at work one day when I received one too many robo-calls on my cell phone. I contacted my carrier, and they gave me the number for the national “do not call” list. I had called, but now my kids needed to call from their own numbers. I had scrawled the number on this paper, and carefully labeled it, so I wouldn’t forget, and then, I stuck it on the fridge, so it wouldn’t get lost. But my son’s interpretation of this note has given me an idea. 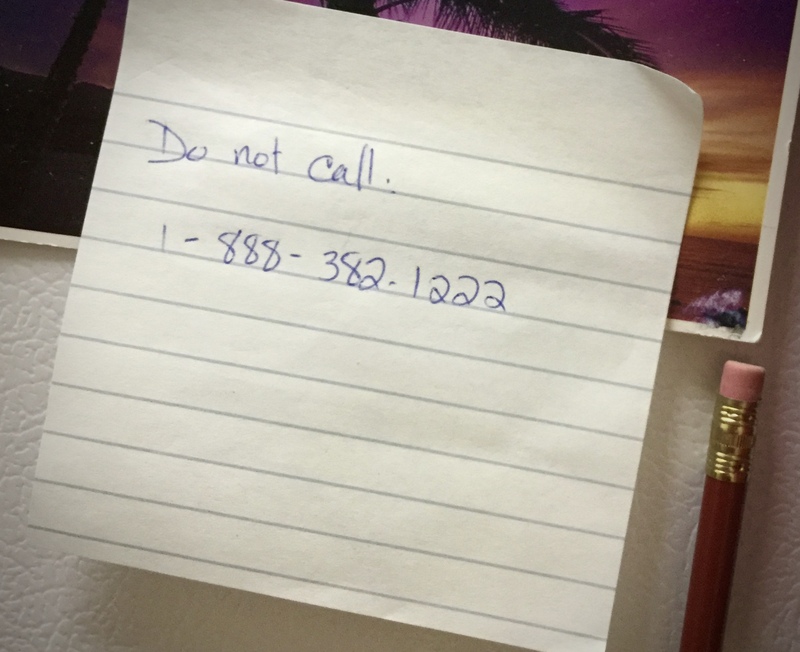 If you suddenly find a note like this around your house, it’s probably not the national “do not call” registry, so I would suggest you not call it. 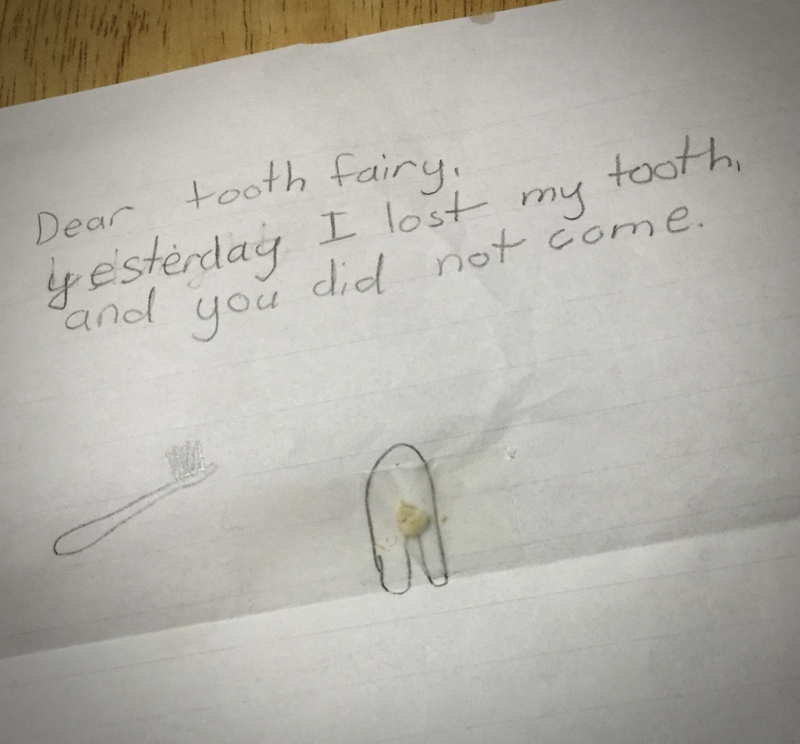 Just don’t ask me where the note came from…. I am a worst-case scenario kind of girl. You know all those things we spend time worrying about? I can worry with the best of them. In fact, my worrying started when I was just a tot. We would take a weekend drive in my father’s jeep out into the country and onto back roads that time forgot. They were rutted dirt roads that wound through the woods, over hills, and along streams. To my eyes, they were little more than hiking trails. I would often pipe up from the back seat, “Where are we gonna turn around, Daddy?” My tiny little worried mind couldn’t see how we could ever get back home. If I let my imagination run wild, it can create situations that even the best imaginations would pass up as impossible. Not for me. Everything is worth worrying about because what if [insert worst-case scenario here] happens? What if I just stopped worrying? What if I recognized that many things are out of my control and worrying only makes me anxious, stressed, and robs me of the ability to enjoy where I am and what I am doing. Right. Now. What if I just stopped, took a breath, and let all the worry go? What if…? If I were to stop worrying needlessly about things I can’t control, I would be able to enjoy the present moment. I could think more fully about the here and now. I could be present in and part of my own life. I could be a better role model for my children. What if I stopped worrying and was willing to let it go?